When creating a Database or importing data into a database, you are given the option to select which type of Database field you want to create. Once selections are made, you are able to make changes to the field type, but only within it’s related group. 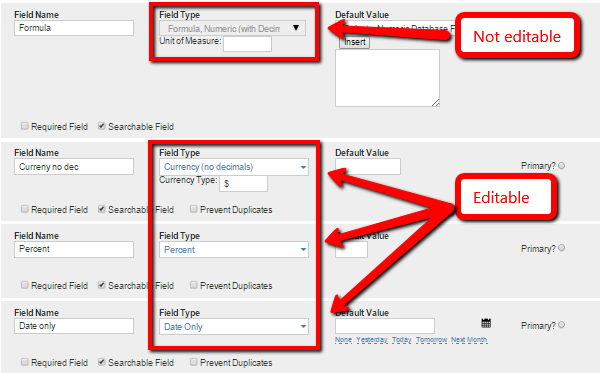 After Creation, certain field types CANNOT change and CANNOT be imported at any time. The drop down menu will appear grey and opaque.